I am calling upon all of you -- if you can, please, help us save Refractorland. Some of you know the story and here I cannot be very detailed for there is still an open case by the Italian Court. Enough to say that, as you may be aware, Refractorland is a property (of which I am the major co-owner) located in Central Italy where, for years, I have been hosting for free a number of friends and enthusiasts amateur astronomers, who had the pleasure of using rare instruments under the stars and share astronomical stories and knowledge around the fireplace. A while back, this was sadly hindered and eventually stopped by the other co-owners, to whom the two concepts "free" and "astronomy" did not appeal. The property was thus sealed and the case brought by the Court in Italy where I asked to buy the other 50% at a fair price. The counterparts, instead, asked first for a large amount of money, in substantial excess of market value. When this was recognized as unjustified by the Court, they declared that rather than sell it to me, they would have liked better to see the property go in public auction. Recently, during the last hearing, the Court decided to put this jeopardized case to an end. Therefore the Judge fixed a price for the property, asking me to cover 50% of that sum by the end of June; otherwise, indeed, the property will go in public auction. This sudden outcome, while very welcome on the one hand (it means that Refractorland could re-open relatively soon), it is not occurring at a suitable time as far as my own finances are concerned. After a family consultation, and among other fundraising actions, I have thus decided to sell all the remaining instruments of my own collection (excluding, at present, only the big ones that are the core of the Observatory). Further, some friends have generously proposed to add to this list some of their own instruments for fundraising. Please, do have a look and, if there is something that interests you, this is the time to buy it. The list is at the end of this page. I have discussed in this community a fair price for each and all of them. There is always room for negotiation, but please understand the difficult situation. Please also note that, at present I have chosen not to start any auction. Preference is thus given to swift direct sales. If, given the circumstances, you feel so generous as to give even more than the price listed here, by all means please do. That would be much appreciated. But do it with the aim to save Refractorland, not to beat up any runner up. Further, I have decided to issue a limited "Save Refractorland" signed Special Edition of some of my astronomical prints. 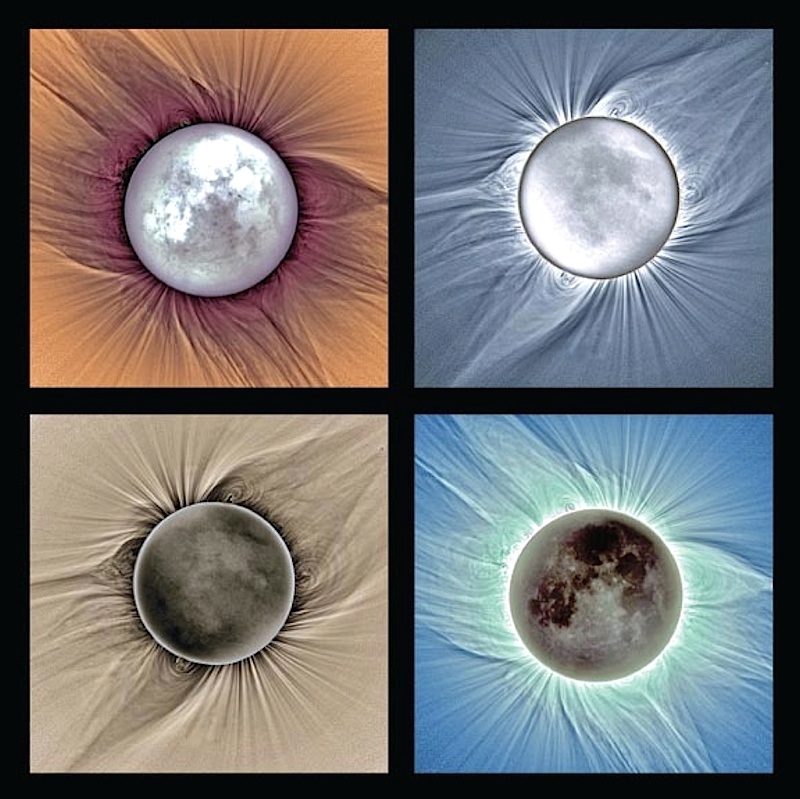 Specifically, I though of the quadtych of the 2006-2008 HDR Total Solar Eclipses that was exposed at UNESCO HQs in Paris (France) during the celebrations for the opening of the 2009 International Year of Astronomy. If any need be, at the links hereunder you may find a tri-lingual presentation of the show, a leaflet in English, and the bi-lingual Catalogue. 3 signed and numbered compositions, each of four 75 x 75 cm (30 x 30") pictures, faithfully reproducing the quadtych as it was actually exhibited during the IYA-2009 show in Paris - 2,500 USD each. Each 40 x 40 cm (15 x 15") print will be accompanied by a "Refractorland" key-holder with Flashlight. Each 55 x 55 cm (22 x 22") print will be accompanied by a "Refractorland" key-holder with Flashlight and a "Refractorland" Cap. Each 75 x 75 cm (30 x 30") print will be accompanied by a "Refractorland" key-holder with Flashlight, a "Refractorland" Cap and a "I helped save Refractorland" T-Shirt (pls specify a preferred size). Each 110 x 110 cm (44 x 44") print will be accompanied by two "Refractorland" key-holders with Flashlight, two "Refractorland" Caps and two "I helped save Refractorland" T-Shirts (pls specify the preferred sizes in the mail). Each quadtych will be accompanied by four "Refractorland" key-holders with Flashlight, four "Refractorland" Caps, four "I helped save Refractorland" T-Shirts (pls specify the preferred sizes in the mail) and a Special Commemorative Plate. Each print will have its own Certificate of Authenticity and a signed copy of the Catalog of the show. Please Click Here to Buy Prints of the "SAVE REFRACTORLAND" Special Limited Edition! Furthermore, I was suggested to add here a link for a donation via PayPal. You may find it hereunder. If you feel so, please use it. Anything, even a small sum, can be of help. The field is purposely left blank. If you feel to donate any more substantial amount, please drop me a line by e-mail. At that moment, a Bank-to-Bank transfer could indeed be a more economical solution than paying PP fees. All those who will donate an amount equal to those mentioned for the "SAVE REFRACTORLAND" Special Limited Edition, will automatically receive the relative signed picture (till available) and the gadgets that go with it. All the donors - no matter the sum they paid - will receive public recognition on our website. All the best buyers and donors will receive a Honorable Mention with public recognition on our website, on the walls of the fireplace room and of the observatory, together with, it goes without saying, the heartfelt thanks and the gratitude of all of those who will visit Refractorland in the years to come. Meade 127 ED/EMC f/9 -- An excellent performer, perfectly collimated with an excellent star-test. Questar Duplex Base, i.e. everything (immaculate) *without* the OTA - transforms a Field into a Duplex Mod. the focuser battery is still sealed). NB. Better than the best one tested by W. Rohr.